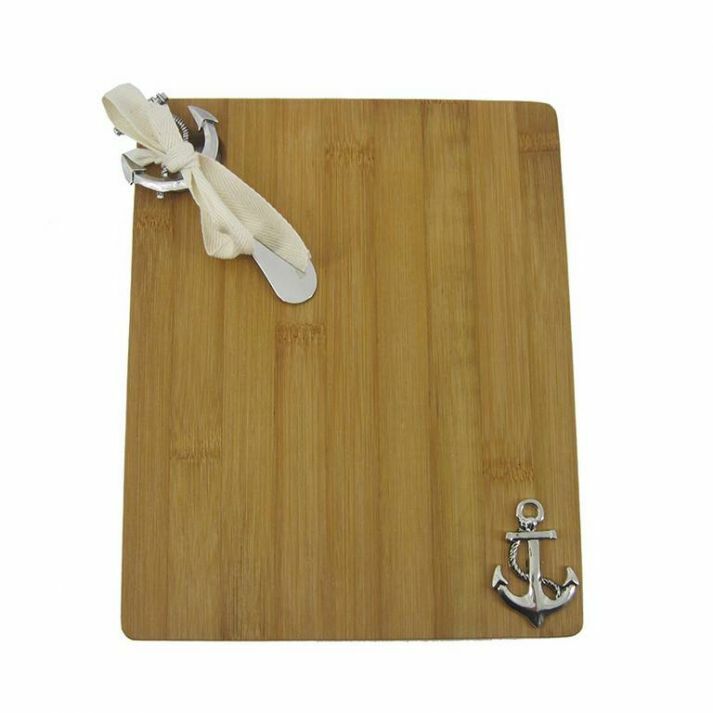 Bamboo Cutting Board with Anchor and Spreader 9"
Allow this Nautical-Inspired Bamboo Cutting Board with Anchor and Spreader 9" to also act as a serving tray. This multi functional cutting board and spreader requires little maintenance, and brilliantly shows off the grain of the bamboo it's made from. The nautical decorative cutting board is perfect for serving fruits and cheeses at smaller gatherings. This decorative metal anchor adds style and is a great centerpiece for dining and entertaining. This decorative cutting board can be a great gift for any nautical enthusiast in your life. Available now in different styles.